One of the most popular cosmetic surgery procedures, liposuction sculpts the body by removing undesirable fat from areas of the body such as the abdomen, waist, hips, buttocks, thighs, knees, chin, cheeks, neck and upper arms that have not responded to diet and exercise. The ideal candidate for liposuction is a person in good health who has pockets of fat that he or she has been unable to eliminate through diet and exercise. This person desires sculpting of the body rather than weight loss. The best candidate has skin that is still firm and elastic. About half of those having liposuction are middle aged. No. This procedure is performed in Dr. Wolf’s office-based treatment center. Local anesthesia is used. The procedure takes one to three hours depending on the amount of fat being removed. 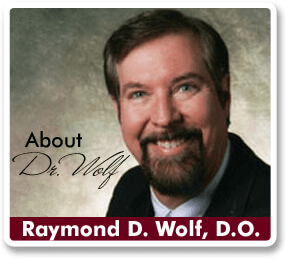 Dr. Wolf performs Tumescent liposuction, a liposuction method using local anesthesia. The patient is marked and Dr. Wolf expertly injects the numbing solution thru the skin into the underlying fat. The fat is removed with a specialized hollow tube (cannula). The patient is immediately evaluated in the standing position to ensure even fat removal has been achieved. No post-operative medications are usually needed. Risks are uncommon when the procedure is performed by a qualified surgeon. However, risks include infection, delays in healing, fat clots or blood clots, shock, fluid accumulation that must be drained, perforation injury, and lidocaine toxicity. After surgery, compression garments and antibiotics may be needed to facilitate the healing process. Patients are encouraged to walk as soon as they are able. Many return to work within a few days, although strenuous activity should be avoided until tolerated. Results are visible immediately, though improvement continues as swelling subsides. The amount of swelling is related to the amount of fat removed and individual healing tendencies. The period of swelling allows the skin to contract and the complete results are usually seen at six months. Scars are small and inconspicuous. Other irregularities in appearance are possible, such as asymmetric or “baggy” skin, numbness and pigmentation changes. Since some fat cells are removed, weight gain will tend not to reoccur in the treated areas. However, fat deposits may appear in other areas if there is weight gain. Most people are very pleased with the results of their liposuction, however the long term benefits will be influenced by diet and exercise. See if liposuction is the right procedure for you. Call us at 937-839-4681 with any question or to set an appointment for a free consultation. Before you make any commitment, let us explain our procedures to you and what results you can expect.